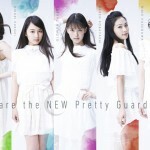 An update posted to the Official Sailor Moon site this morning revealed that the name of the upcoming musical, taking place in Japan this fall, will be called Pretty Guardian Sailor Moon Le Mouvement Final. The above logo was included with the post. No other details were included. 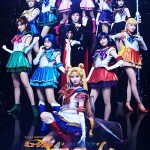 We have previously learned that almost all of the cast will be reprising their roles with the exception of Karin Takahashi who will not be returning as Sailor Saturn. That role will be played by Mirai. Though we’ve received no official confirmation of the subject of the musical it seems logical that this will focus on the Stars arc of the manga. The wings in the logo suggest we will be seeing Eternal Sailor Moon, who appears at the end of the Amour Eternal musical. The title, French for “final movement”, suggests that this final arc of the manga will somehow finalize the story of these musicals. 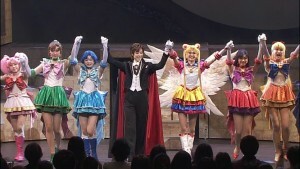 I had been hoping that after this 5th musical we would somehow continue the story of Sailor Moon with some kind of original musical that takes place after the story of the manga. Perhaps this will still be the case! Update: I misreported the title as “Movement Final” and not “Mouvement Final”. This is the correct French word for Movement. This entry was posted in Sailor Moon Anime (1992) and tagged Eternal Sailor Moon, Karin Takahashi, Le Mouvement Final, Mirai, Sailor Moon, Sailor Saturn by Adam. Bookmark the permalink. I hope it’s not the final musical. How many more days/weeks/months we all will have to wait until they release even a few new words about Crystal season 4??? Let’s be honest, it is that interests us much more than any news about musicals or anything else about Sailor Moon, am I right? I totally understand your frustration. Maybe it’s because Toei or whoever can make more money off the franchise with a cheaply produced musicals, or they are that popular. I personally don’t find the appeal; and this is coming from someone who does musicals for a living. Nah. I’ve been enjoying the musicals way more than Crystal. You really shouldn’t make assumptions regarding other people. That said, it’s pretty sad there hasn’t been ANY news regarding Crystal beyond the initial announcement. Here’s hoping it isn’t delayed for years like the first two seasons lol. Andrea wasn’t making assumptions. Making an assumption would be saying “nobody likes the musicals and we all would rather have information on crystal.” Everyone is entitled to an opinion and a point of view, and not every opinion or viewpoint should be responded with a “you shouldn’t make assumptions.” How about explain why we should watch the musicals. It makes for more progressive conversation. The traffic trends on my site and various social media accounts would confirm that yes, people are absolutely far more interested in any news about season 4 of Sailor Moon Crystal than anything else I may post about. Unfortunately there is nothing to report at this time. It’s definitely why I come here! Well, that and to find some Sailor Moon banter with Aurelia, you and the others! Haha, thank you my friend ;)! I mainly come for Sailor Moon Crystal, but I also come to get infos on what is new in the Sailor Moon universe (musical, merch…), and of course, to have some funny discussions and jokes with you and the others on Sailor Moon . I feel like they try to come to the end of the musicals, so that they can get all the time to think about Crystal in a near future. And who knows, the musicals might be Toei’s cash cow for Crystal. I’d still come here if Sailor Moon branded Q-tips were all the rage! Haha. Yeah I’ll need to run out of news before I start reporting on every mask and beauty product they come out with. There was a time where a product might be the only news in months and now it’s just a flood of licensed merch! It definitely is for me. I am glad we have any SM news at all to keep us occupied, but to be honest, I have so little interest in the musicals these days besides hoping it promotes the anime more. I am so excited for more news on S4!! I saw something about some book that will be on ale this monday that will include the first image of the guardians. I translated via google translate so i can’t be sure what is it about but it is possible to be the key visyal for the 4th season of Crystal. Please , PLEASE send us the link !!! I think the page where it announces the title says it’ll be based on the fifth story arc. I’m really hoping we see Aluminum Seiren and Lead Crow! I’m also curious what they plan to do (if anything) after this musical ends. 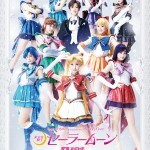 If this is meant to be the last Sailor Moon musical, I hope it ends on a high note because while Amour Eternal wasn’t bad, it wasn’t as good as previous musicals imo. I’m partial to Sailor Iron mouse and her TARDIS/Bill & Ted phone booth! I also read that this won’t be the last musical. I was thought that meant that there will be a continuation of the story, but then I ready somewhere that they meant this won’t be the last musical ever, but will be the last in the series. I just wish they gave us some information on Crystal season 4 and too bad they won’t announce extra episodes for the story to be fleshed out for the dream arc or stars arc. I really hope they will for Stars though. Many people claim that season 4 will have a new director and designer, but I have no idea where this info came from. Do we have some info about the contracts of the current oeople involved. Chiaki Kon did wonderful job as a director, but the character designer really screwed it all, at least for me so I hope he will be replaced indeed. Aaargh! It’s “le COUP final”,not “le mouvement final” ! Mouvement is the literal translation for moving, like walking or doing something, and it is not the correct translation for final move!! Geeze! As if “amour eternal” wasn’t bad enough! When you’re chosing the title of a musical that is going to be watched by possibly thousand of people, the least you could do is ask a REAL francophone! So stop. Trusting. Google Translate! I learned something new today, thanks to you, Alice! Thank you Alice for reporting this wrong title. At first, when I read “Le Mouvement final”, I thought : damnit, there’s something wrong with that, but I can’t figure out what it is. For a moment, I lost my French. But we also have to say, for non French speakers, that “coup final” is the literal translation for “final hit”, and may refer, thus, to a final hit given to someone in order to defeat him (like in fighting games for instance). We can also say “coup fatal”, i.e. “fatal hit”, or “coup de grâce”, a term which is, I believe, used in English as well. So, this “mouvement final” seems to be a strong suggestion that this new musical will be the adaptation of the Stars arc. About the title, again : a movement is a section of a musical composition, that is also called “mouvement” in French. 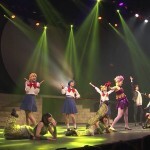 Maybe the Japanese thought of that when they gave this musical the name “Le Mouvement final”, in a way to say that this show will be the last Sailor Moon musical (maybe not the last one but at least, the last of the canonical story). I wonder why they gave the first musical an Italian title and then French titles to the rest. I mean most Japanese people probably don’t understand these languages so it doesn’t seem like the greatest way to sell tickets. Or maybe it makes the musical sound more exotic and exciting. I have no clue. Also why don’t they just put English subtitles on their DVDs, they’d probably sell tons of them to foreign fans if they did.